The Model 915 coin counter and packager offers real value in coin counting and packaging applications. 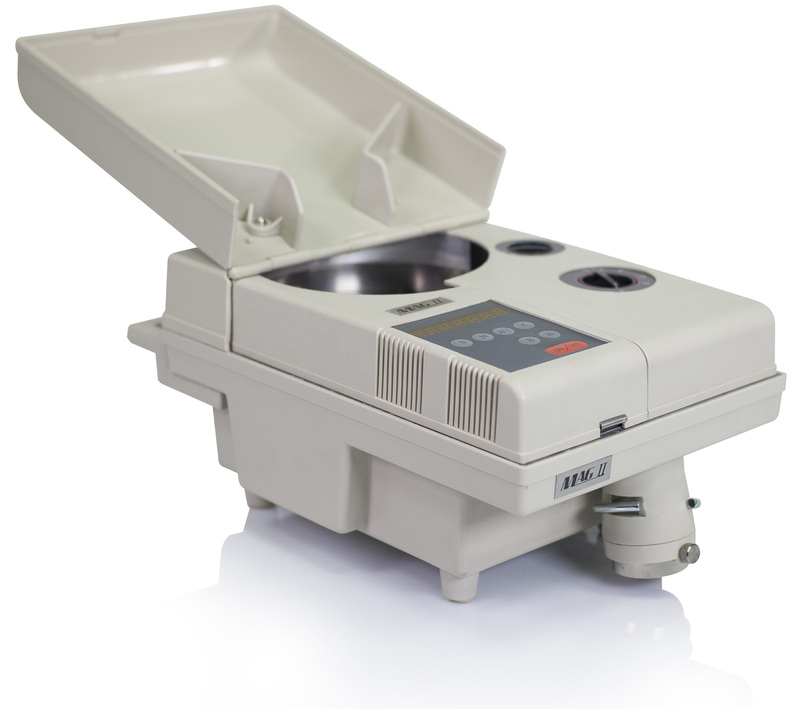 Whether you are counting coins into bags or rolls for deposit or recirculation, the Model 915 offers speed, accuracy, and ease of use. 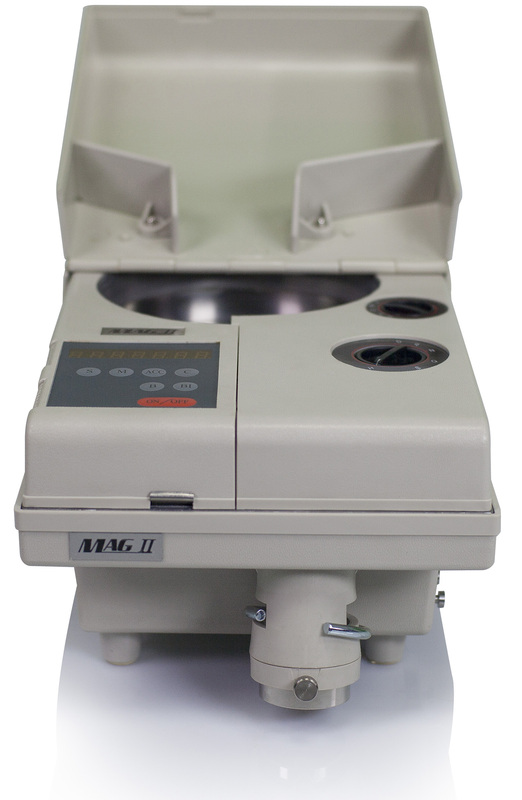 Like all Magner products, the Model 915 offers outstanding performance at an affordable price, a vast improvement over tedious hand counting.